When planning a kitchen renovation, similarly to buying a new car, many people tend to primarily focus on the look and feel and functionality of their new kitchen, and give second regard to what’s going on under the hood. Just like a car engine and gearbox, it’s the hardware of your new kitchen that you don’t see or look at, that keeps your kitchen in top shape, giving you years of trouble free use and longevity. Your kitchen cabinet hardware includes the hinge systems, the drawer systems, the lift and flap systems, your storage solutions and even your decorative handles or recessed handle-less systems. There are many different brands and levels of quality in the marketplace for kitchen cabinet hardware. Like the old saying goes, you really do get what you pay for, and your choice could well be the difference between a kitchen you love for 20 years plus or one you hate after less than 2 years. So… what should you look for when choosing the kitchen cabinet hardware which keeps all your kitchen components together and functioning as you expect? Firstly, here at Easy Living Kitchens we’ve tried and tested them all. From the budget Chinese imported range, to the top of range American and European brands. For impeccable quality, longevity, reliability and value for money we prefer and recommend Blum. Blum is an international manufacturer of furniture hardware based in Austria. 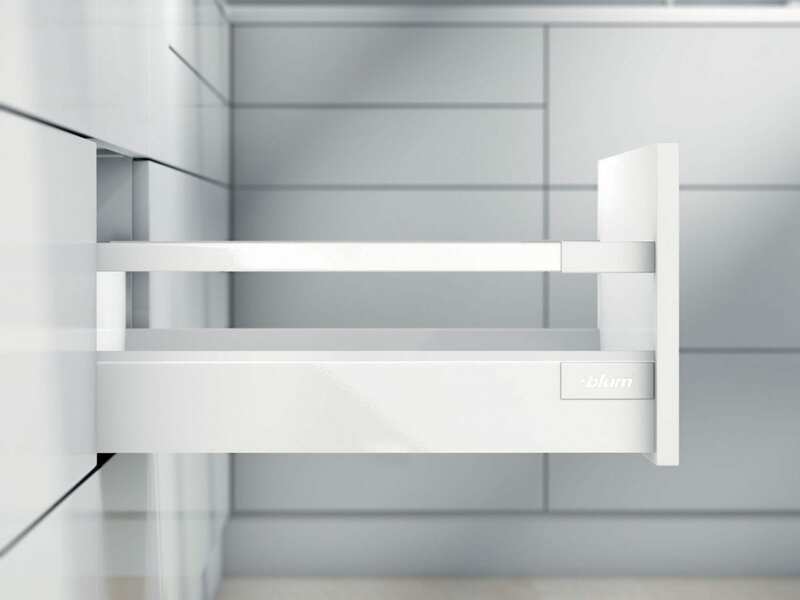 Blum manufacture lift, hinge and pull out drawer box systems, as well as offering electrical and mechanical motion technologies for the opening and closing of kitchen doors and drawers. With impeccable, clock-like precision, BLUMOTION integrated soft close hinges is innovative technology at its best. Delivering soft and effortless closing to cabinet doors, Soft-close BLUMOTION adapts to the dynamics of every door. So all doors have a smooth closing action regardless of size, weight or force with which you close them. The BLUMOTION range of hinge systems give you the right solution for almost every application, delivering top quality motion and soft and effortless closing to every cabinet door. 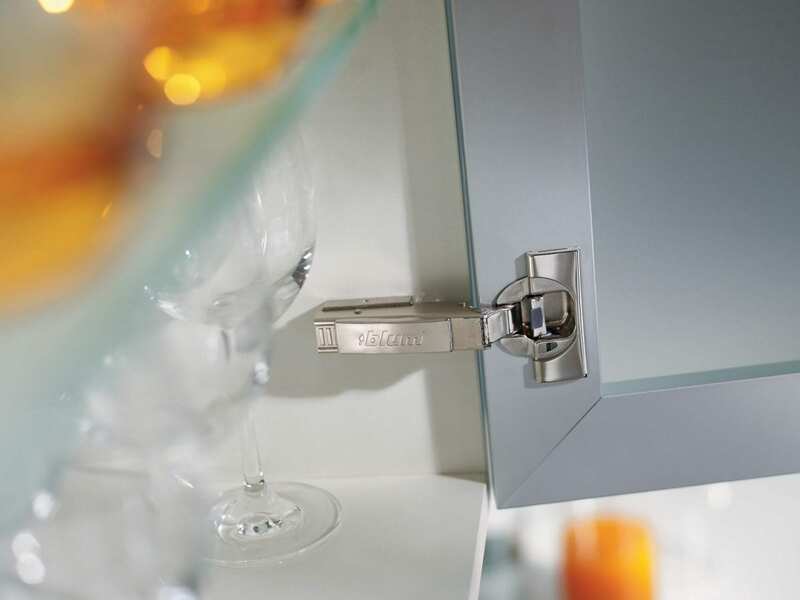 From standard applications up to 24mm door thickness to thicker profile doors, blind corner inset or overlay, aluminium frames and even angled cabinets, we can’t fault the Blum range. 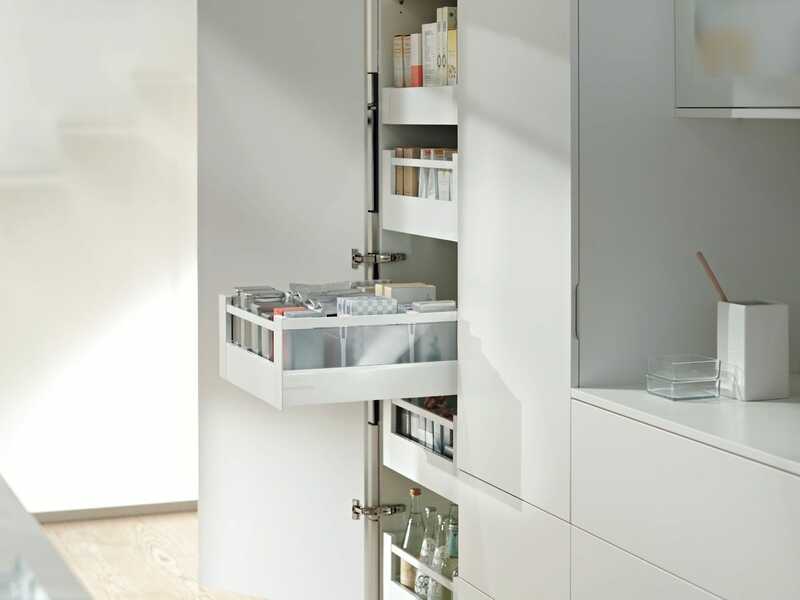 Blum AVENTOS lift systems bring top quality motion to wall cabinets. Even large and heavy fronts open with ultimate ease. What makes AVENTOS especially practical is that it gives users easy access to contents and full freedom of movement. The AVENTOS lift system provides for unhindered access to your overhead cupboards, keeping fronts well out of the way. The lift mechanism can be adjusted to the weight of the front and it will stay exactly where you want it, and within easy reach for closing. To implement handle-less wall cabinets, the AVENTOS lift system can be equipped with a motion technology like SERVO-DRIVE or TIP ON. The AVENTOS range includes HF – for Bi-fold openings, HS – the front swings up and over the cabinet, HL – the front lifts up parallel to the cabinet, HK – the front pivots up, as well as enhanced models for user convenience. Blum TANDEMBOX is a tried and tested metal box system offering a multitude of applications and great scope for individualised design. TANDEMBOX provides a feather-light glide and enhanced opening and closing ease. With load capacities of 35kg and 65kg, full extension capability and BLUMOTION soft close, TANDEMBOX has proven its worth for enhanced user convenience and design scope. There simply is no better drawer system available offering the multitude of benefits and possibilities. Here at Easy Living Kitchens, we’re committed to helping you find the best kitchen cabinet hardware solution to satisfy your kitchen needs. We believe that regardless of style, budget and personal kitchen needs, we’ll have something suitable for you. Complete our online booking form on this page or give us a call on 1300 650 681 so we can get started making your dream kitchen today.